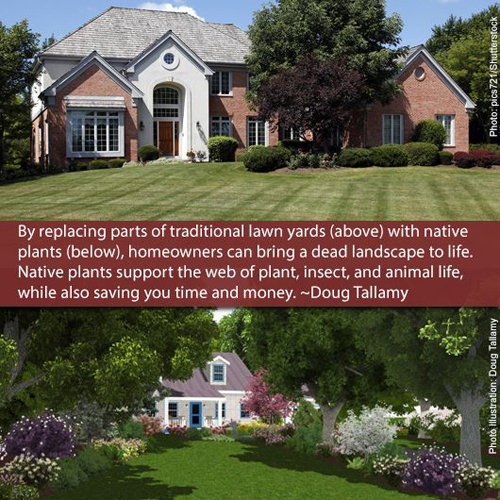 Ever wondered if there was a better way to landscape your yard? Join us for the Sustainable Landscaping Workshop on September 6th at Brookside Community Center in New Baltimore and find out! PEC has invited experts from Master Gardeners, Virginia Department of Forestry, Hill House Farm and Native Plant Nursery, and Prince William Conservation Alliance who will share information about yard care practices, urban tree care and maintenance, benefits of using native plants, and other landscaping practices that benefit wildlife and the environment. Participants are given the information they need to start a variety of sustainable landscaping practices, while learning more about the connection between their yard and the surrounding environment. 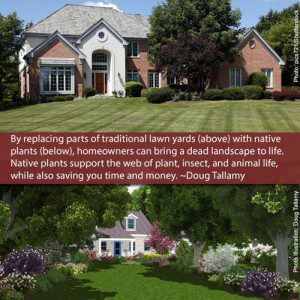 Discover the benefits of changing the way you care for your property — for both you and the surrounding environment! This program is completely free of charge and is brought to you by the Piedmont Environmental Council in cooperation with Brookside HOA, Fauquier Master Gardeners, VA Department of Forestry, Hill House Farm and Nursery, and Prince William Conservation Alliance. Space is limited! RSVP on the event webpage! If you would like more information or are interested in having a workshop in your area, please contact me. I look forward to seeing you at the workshop!